Jumping straight into 2017 and the 9th year of the Marvel Cinematic Universe, this year boasts the release of three Marvel Studios films in Guardians of the Galaxy Vol. 2, Spider-Man: Homecoming and Thor: Ragnarok. We’ve speculated enough on where Phase III will take our heroes, so we thought we’d take a quiet moment early in the year to focus on the unsung supporting characters of the Marvel Universe. These guys and girls are the glue that hold the Multiverse together and allow the heroes to shine. These are the quintessential other guys, but are integral to the plots that unfold in every installment we eagerly await. Here’s a line up of our Top 5 supporting characters from the MCU. Starting with an oldie but goodie, Phil is the man who’s alleged death in The Avengers ultimately guilt trips the heroes into getting their act together. But of course we all knew better than that, as he was already off getting Level 7 access and rounding up his own group of misfits in ABC’s Agents of S.H.I.E.L.D. Jishnu of course can tell you more about his adventures since then, but don’t forget that he was basically Nick Fury’s go-to guy during Fury’s Big Week, and pretty much set up the Avenger’s Initiative. And he’s not just a logistics man either. Need proof of his badassery? Watch this one-shot called ‘A Funny Thing Happened On The Way to Thor’s Hammer’. Apart from being the Gatekeeper of Asgard and having general omniscient chops, it only helps that he’s played by Idris Motherflippin’ Elba. This guy is Thor’s mate whom he knows he can rely on, even when he hasn’t been asked. Remember that time he single-handedly took down one of Malekith’s drone ships? Also don’t forget that he is the first one to warn Thor of Hel and Ragnarok. Granted, that’s a fever dream after Scarlet Witch messes with Thor’s mind, but that just goes to show, even within Thor’s inner demons Heimdall is watching his back. Also after this theory started floating online about Heimdall possessing the Soul Gem, we really hope to see him in a bigger role this November in Thor: Ragnarok. Peggy Carter was such an exceptional supporting character that she crossed over and was given her own excellent series, Agent Carter. But before its untimely cancellation, it gave us some wonderful characters…and Jarvis. Yes, before Paul Bettany as digital JARVIS and Vision, we had the real flesh and blood version of Edwin Jarvis. Assigned to Peggy as her aide by an MIA Howard Stark, Jarvis helps Peggy clear his master's name and prove to be invaluable in her adventures. Jarvis was immaculately portrayed by James D’Arcy and between him and Carter, 1960’s America gets a proper British Charm. If being a cybernetic assassin wasn’t cool enough, how about being the daughter of Thanos? Nebula probably gets that all the time, and hates hearing it, but that’s exactly what makes her even cooler. Adopted sister of Gamora, Nebula hates her guts for being Thanos’ favourite daughter, but we know she still loves her deep inside that robotic framework. Her very presence gives history to Gamora and makes the latter a richer character, and that historical context is going to play up soon, what with Dad joining the mix in a few. 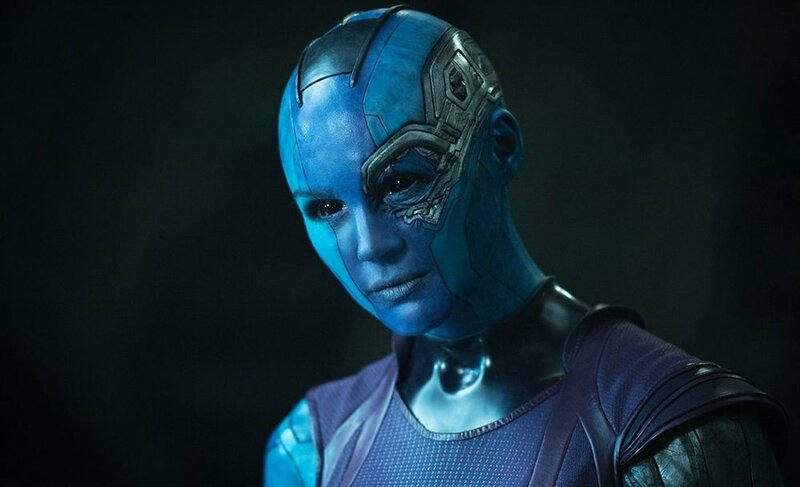 Played by one of our favourites, Karen Gillan, Nebula has a great character arc potential which we might see more of in this year’s Gaurdian’s of the Galaxy Vol. 2 and we hope her character’s redemption is on hand soon. One of my personal favourites, is none other than Pepper Potts, Tony Stark’s assistant, muse and on/off love interest as well as former Stark Industries CEO. She has been Tony’s conscience and moral guide right from the inception of the MCU and has constantly tried to make Marvel’s leading man follow the right path, even if it meant leaving him during the events of Civil War. The lack of her presence in Civil War leaves Tony in an emotionally vulnerable state, which after the film’s final revelation, sends him teetering over the edge and into the abyss of a much darker Tony Stark than we’ve ever seen before. Even if he’s mackin’ on Peter’s Aunt May this year in Spider-Man: Homecoming, we know that she’s the only one to remind him that Tony Stark does in fact have a heart, and we put our money on the fact that it’s definitely not the last we’ve seen of her. Tilda Swinton’s turn as the Celtic Ancient One was one of the highlights of Doctor Strange and even though her presence in the movie is shorter than we hoped, we’re still looking at the Multiverse to bring her back in some astral shape or form. We owe a lot to Jon Favreau. His initial Iron Man gave the Marvel Universe the light comedy-action tone that it has used as a blueprint for all its movies since. And apart from that he cast himself as the lovable Happy Hogan, Stark’s confidante and bodyguard. That’s our list true believers! Whom do you think should have been on this list? Let us know in the comments. Captain's Log: Tejas spends his time making music, writing for Geek Fruit and he knows that Phil's first name isn't 'Agent'. You can find him on twitter at @tejasmenon or on instagram at @tejasmenon1989. Listen to him on the Geek Fruit Podcast every week.